Suitable for any person selected by their employer who may be responsible for adminstering adrenaline to a child Emergency. Duration: Two and half to Three hours contact time with the Trainer. Accreditation: The Anaphylaxis awareness course provided by The First Aid Kit, is based on the Anaphylaxis Campaign's Allergywise© syllabus. Membership: The First Aid Kit is a professional member of the Anaphylaxis Campaign. Instructor Qualifications: All Anaphylaxis instructors have specalist qualificationsin Anaphylaxis in addition to their clinical medical qualifications eg Nurse, Paramedic. Benfits of Pratical Training: The First Aid Kit provides students with Jext, Emerade and EpiPen Simulator Pens to practice with on the course. Simulator pens are provided for hands on practice on ensuring all students are confident in the use of all three types of auto injectors on the UK market. Students also are able to ask questions to the trainer on the subject. 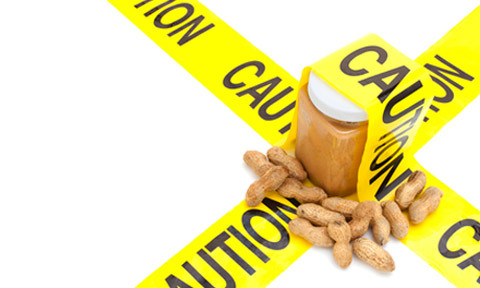 The Anaphylaxis awareness course is constantly updated with the latest changes in the area of anaphylaxis the course can be delivered as a bolton to any of our First Aid Courses or as a seprate unit. What is exactly going on? : The Student will be able to understand the physiological Affects of Anaphylaxis on body systems. Practice: Students will be able to practice on a range of Jext, Emerade, and EpiPen Auto Injectors. Storage: Students will be able to understand approprate storage requirements of Anaphylaxis medication.